We had a fantastic time at Gen Con this year. 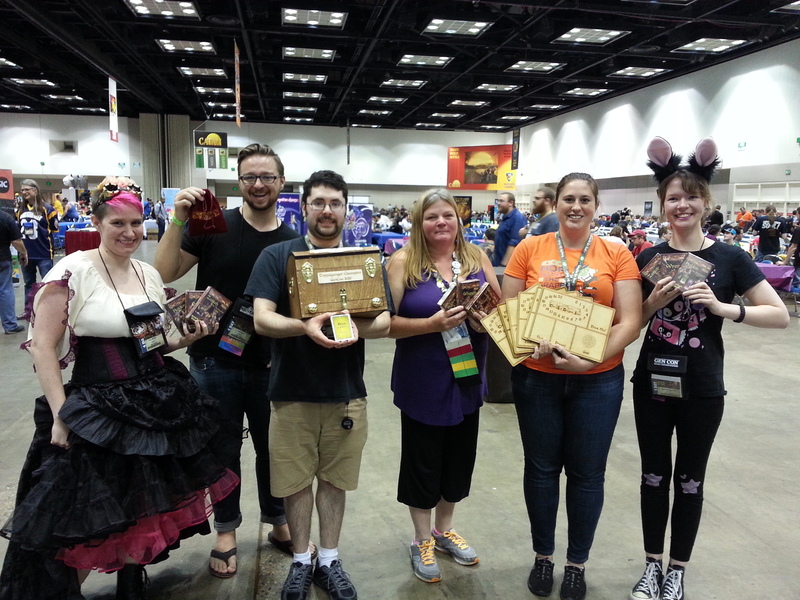 As we eagerly anticipate fulfillment and delivery for the RDI5 Kickstarter we thought it would be good fun to recount one of our favorite Gen Con moments: The Annual Doppelganger Tournament! Each Gen Con we host a tournament for The Red Dragon Inn. This tournament pits players playing the whole cast of heroes against one another to prove that they truly have what it takes to survive a wild night of partying! Only the toughest and trickiest players make it to the top table, where they will go on to win fabulous prizes! Including custom carrying chests, player boards, product and now the awesome new metal coins! All 29(!) members of The Party have gathered at The Red Dragon Inn for their yearly reunion. But once again, dastadly doppelgangers have invaded the tavern with nearly 80 participants! With up to four each of Fiona, Zot, Deirdre, Gerki and the rest showing up, the first round of the tournament had players pitted against their mirror matches to prove that they were the real version of themselves in a battle of brains, brawn, and booze! After the players had eliminated all of their doppelgangers from the tournament, the night really got started. With each character randomly assigned to one of six tables, they partied hard to prove that they had what it took to make it to the final table! The matchups were ferocious, and the results always exciting! Table 1: The fearsome ninja Sera outmaneuvered Gog, Remy, Zariah and Captain Whitehawk! Table 2: Korash answered Bastian’s prayers for victory against Fiona, Halden, Natyli and Pooky! Table 3: Erin shapeshifted her way to the final table against Tara, Joran, Gerki and Zot! Table 4: For the second time Bryn muscled her way to the top against Serena, Deirdre, Lizwick and Dimli! Table 5: Zakhan’s antics quickly overcame Eve, Wrench, Cormac and Kaylin! Table 6: Ozrik’s elemental power was too much for Wizgille, Phrenk and Fleck! Zakhan and Sera must have had the beginner’s luck this year, both new characters making it to the final table after going drink for drink with some tough competition. Erin, Ozrik and Bastian rounded out the table with some serious magical firepower, and strangely enough a perfectly normal (albiet outstandingly large) deck-hand took the sixth seat. These six squared off at the final table for one last round of drinks. Each player was already guaranteed a fabulous prize, and were competing for their picking order (and bragging rights!). The bulging biceps of Bryn the Boatswain won the day, piloted to victory by Isaac Payne! With the sweet taste of near victory of the top table last year only to be tainted by bitter defeat at the hands of Eve the Illusionist, Bryn must have been pumped to have a second chance to redeem herself. 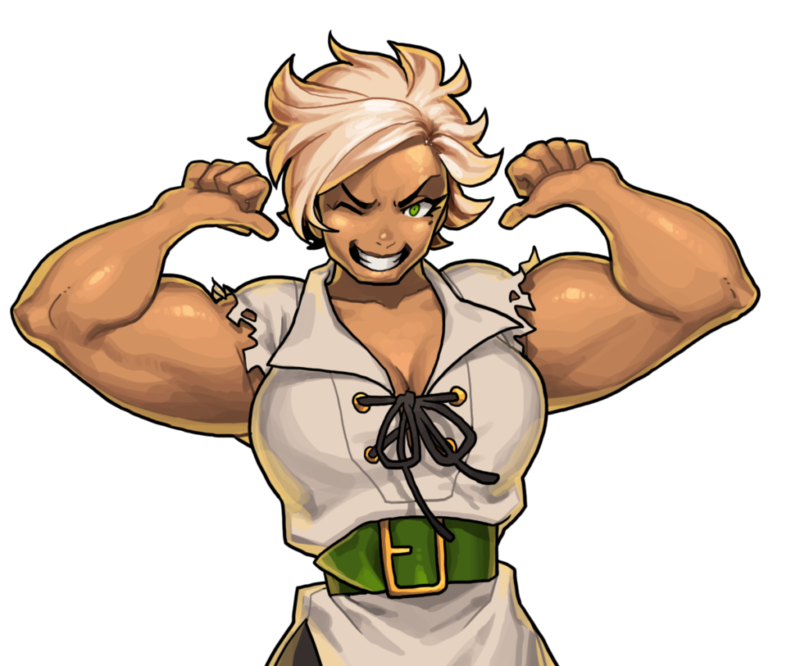 Who knew that lifting canons all day would make you tough enough to take on the likes of spell casters, shape shifters and trained martial artists?